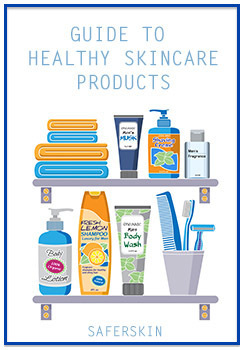 In the United States, Canada, and the United Kingdom, active campaigns against toxic chemicals in skincare and household products have been running for several years. In a large beauty consumer market as Asia however, these campaigns are few and far between. Asbestos Awareness Week starts Tuesday, and it spotlights the dangers of asbestos exposure, which can lead to potentially fatal illnesses such as asbestosis and mesothelioma. Banned in more than 50 countries, asbestos is still used in countries like India. In Singapore, asbestos has been banned since 1989, but it is still present in buildings constructed up to that point. This book looks at applying the traditional Japanese way of living in a sensible way that improves our wellbeing, lifestyle and impact on the planet. The author, Toshimi A. Kayaki, introduces eco habits of the Japanese that include the various uses of green tea, as well as a gentle, healthy and non-toxic way of living. If you love your veggies fresh, organic, local, and with minimal packaging, it makes perfect sense for you to get a box of veggies delivered instead. With the transboundary haze a current and recurring issue in Singapore, it is time to talk about indoor air quality. Haze or not, we spend more than 12 hour a day indoors, and so we felt it was fitting to piece together an indoor air quality toolkit on our SaferSkin Pinterest page. Awakening Beauty the Dr Hauschka Way by Susan West Kurz, with Tom Monte, talks about holistic beauty inside and out, where the focus is good health and wellbeing, which then shows as external beauty. How this book stands out from the others is in its philosophy about beauty, and how we must heal ourselves with healthy food, body and beauty practices, and be in tune with our inner rhythms.